Professor Ioannis Kokkoris holds a Chair in Law and Economics at the Centre for Commercial Law Studies, Queen Mary University of London, UK. He is also the Vice Chairman of the Institute of Studies in Competition Law and Policy. He has published widely and he is on the editorial board of various international journals. Professor Kokkoris has formerly served as Principal Case Officer/Economic Advisor in the Mergers branch at the Office of Fair Trading, UK where he dealt with leading cases such as NASDAQ/LSE, NYSE/Euronext, Global/GCap and was a member of the drafting team of the UK Merger Guidelines. He has led and worked on funded projects by the European Bank for Reconstruction and Development, World Bank, the European Commission, the Organisation for Security and Cooperation in Europe and other international institutions. 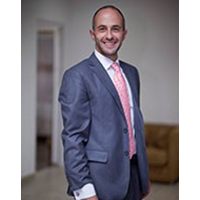 Professor Kokkoris holds a BSc Economics (Essex), MPhil Economics (Cantab), LLM (Warwick) and PhD in Competition Law (Kings College London) and has conducted research at Harvard Law School.